In today’s modern era, the world is changing dynamically. Everyone has moved from cumbersome landlines to smartphones and from postal messages to emails. Setting up a brick-and-mortar classroom cannot meet the ever-increasing demands of learners with diverse needs. Most organizations are adopting technology-aided learning, which enables learners to create, store, and deliver innovative ideas at the workplace. With digitization, almost everyone owns a mobile device: smartphones, laptops, game consoles, netbooks, digital cameras, tablets, or other handheld devices. The easy access to content on any of these devices is both cost-effective as well as time-saving. eLearning offers enriched training experiences to the learners and opens a plethora of options for them to attain business objectives. The prime goal of mobile learning is to facilitate learning and improve the learners’ performance matrix. Consequently, online learning is changing the environment from static to dynamic by breaking down the hindrances between learners and the world. Interaction via a desktop machine takes place in a bubble, where the learner sits at one place and accesses the information over the web. With mobile learning, the interaction is possible via a mobile device, simplifying the process of accessing information anytime and from anywhere. Mobile devices create a physical as well as a virtual space to communicate information to the target audience. These help to form groups, sometimes virtual and transient, at the cost of traditional ones. 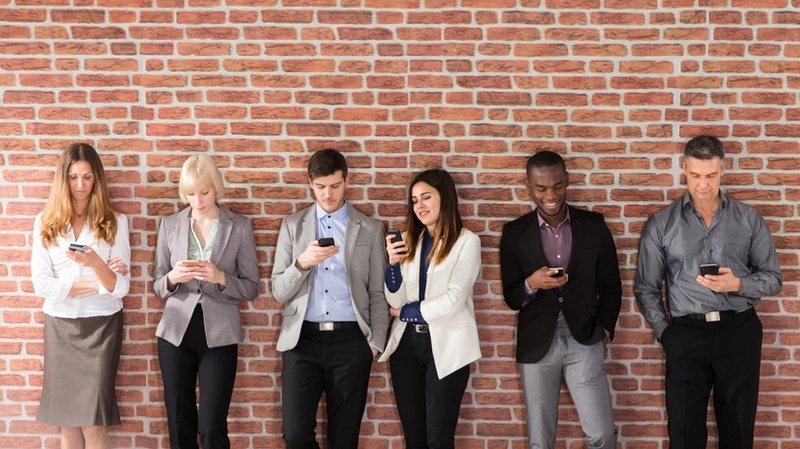 This happens because increasing connectivity means that the trend of social networking is also moving to mobile devices. The learners want to acquire knowledge from training material that is accessible on their own mobile devices. This is why trainers create content for different types of mobile devices. For effective content design, the design should follow good learning theories and Instructional Design principles. The nomadic learners who travel the most for business purposes can also avail the benefits of mobile technology to learn at their own pace. One of the most important benefits of mobile technology is the ability to reach people working from remote locations as well. In addition, web access has helped agriculture workers, business owners, and other sectors to access information on their mobile phones. People working in this sector can access learning content online and gain knowledge on how to enhance product quality and boost business growth. With the increasing use of mobile devices, different people have different expectations from e-course content. Consequently, the need for face-to-face interactions is also fragmenting more than earlier. Mobile learning helps deliver knowledge in chunks, connected in different ways with traditional learning methods, such as books and lectures. Earlier, the main source of knowledge was classroom-based lectures, which is a linear format with no rewind or fast-forward options. Content delivery using computer systems gave a break to this linear format. With the evolution of mobile technology, the usable chunks of information become smaller, with increased flexibility and robustness. Mobile users can access as well as publish information about themselves as well as the outside world. Nowadays, access to social network software on mobile devices is used to distribute content to a wide audience. eLearning aids in improving the overall training speed and workforce productivity. Advances in technology have revolutionized corporate training. The increasing use of smartphones and tablets are reshaping how employees can work more proficiently. These devices support self-directed learning and help learners get the most out of the training without affecting budgets. Many organizations use the idea of embedding mobile learning in corporate training to associate learners with real-life scenarios. Mobile learning is an emerging trend that reflects a learner-centric approach that is cost-effective and time-saving and engages the maximum audience. Unlike older generations, who face difficulties while adopting any new technology, new-age learners follow an eLearning approach by choice. With mobile learning, learners can learn at their own pace and ultimately gain the expertise to become more successful in their careers. The use of mobile devices is the best for short courses that can be completed in a short span of time. As a result, learners enroll for training courses in their busy schedule, when attending meetings, or commuting from one place to another per their convenience.